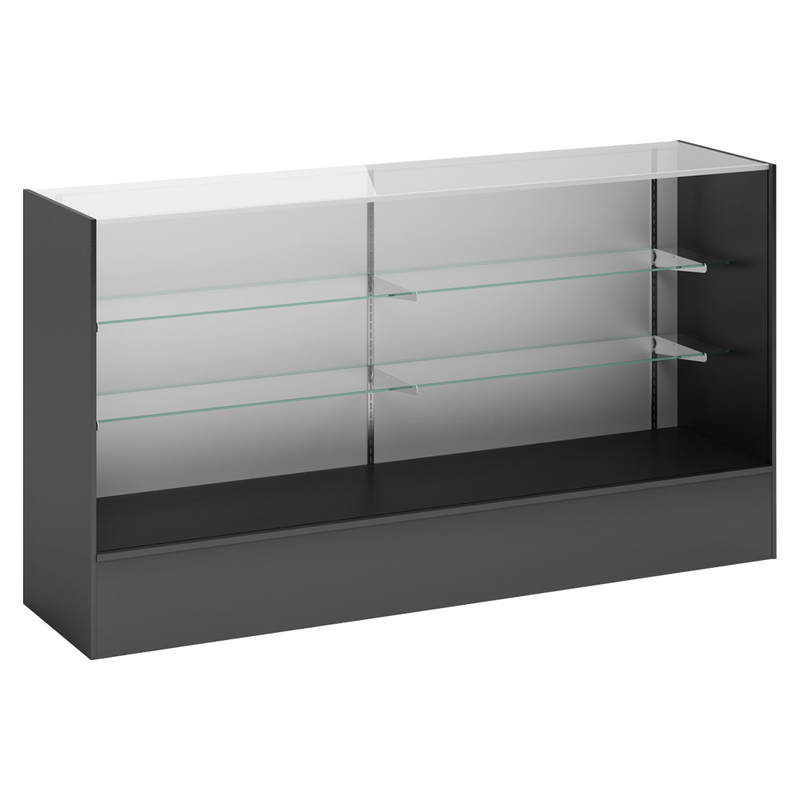 Full vision showcase displays and protects your product. These Full Vision Showcases are fully modular to mix and match to create a functional service counter. Showcases has 2 adjustable 3/16 inch glass shelves. The shelves on this showcase for retail are 8 inch and 10 inch wide to be staggered to display more products. Ships assembled. For further pieces, we invite you to take the time to view our extensive selection of showcases for retail at Specialty Store Services today.